RUMA Upholstery and Drapery is a family owned business committed to providing quality upholstery services to you. 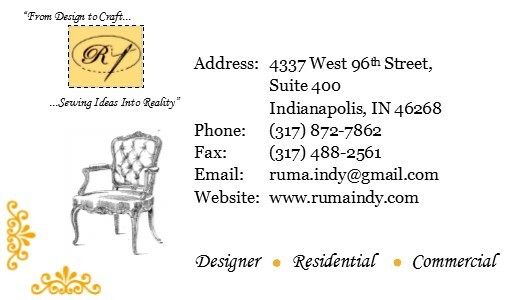 RUMA brings over 35 years of experience in the upholstery business to Indianapolis and the surrounding communities. The experience of our team enables us to take up the most complicated projects and turn them into a reality. We pay personal attention to every project and ensure their completion in line with your expectations. At RUMA we take pride in the quality of our work, craftsmanship and our customers.